In this study, we are currently studying through a harmony of the gospels. In this lesson, we covered Jesus heals Peter’s mother-in-law (Luke 4:38-43), Jesus leaves Capernaum (Mark 1:35-39), Jesus heals a leper (Luke 5:12-16), and Jesus heals a paralytic (Luke 5:17-26) This study took place on January 9, 2018. The Archive is our repository of published sermons, bible classes, and articles published in our weekly bulletin. This website is proudly powered by WordPress.org. 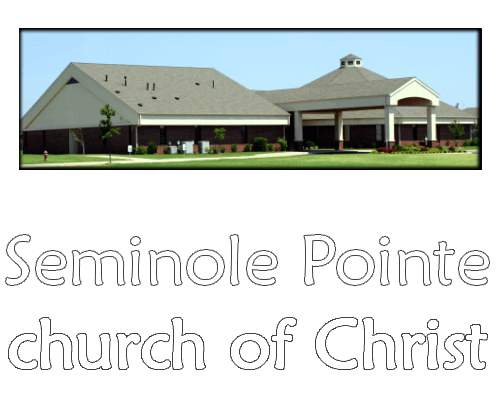 Copyright © Seminole Pointe church of Christ. All Rights Reserved.